Open Winmail.dat helps you to quickly view the content of winmail.dat files. 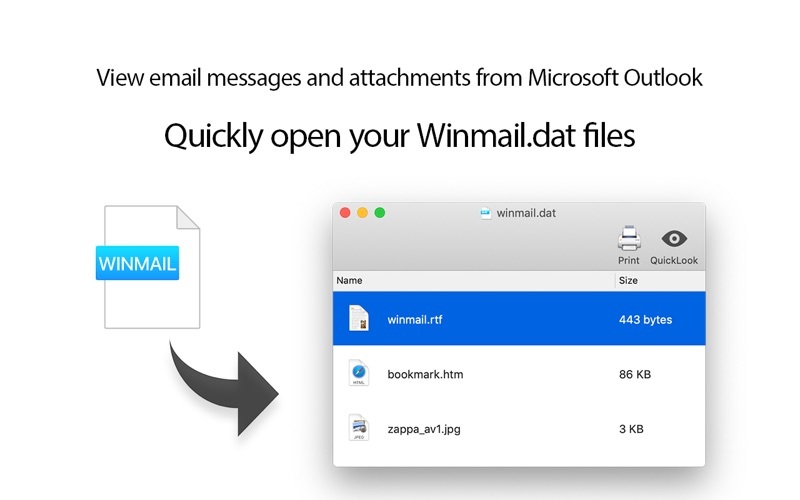 Winmail.dat files contain formatting information for messages that use Microsoft's proprietary TNEF standard and any attachments sent with the original message. Winmail.dat files are attached to email messages sent from older versions of Microsoft email apps, like Outlook or Microsoft Exchange. The attachment doesn't appear in the sending app, but it appears in Mail.